Only showing entries about tlwforgiven from Darren and Terri's Travels. View entries about tlwforgiven from all Travellerspoint blogs. View Baltic Capital Cities on darrenesl's travel map. Later Friday afternoon we were planning on meeting the rest of our group. The call came as we were finishing lunch the sun had also begun to peek out and the temperature increased to a pleasant 16 degrees celsius. We were joined by Daryll and Laura, for the under the bridges tour. We took the boat ride that guided us under 13 bridges in the Stockholm area providing a good overview to the layout of the city. During the tour we witnessed how their lock system works, saw exclusive real estate and enjoyed our time together. By the time the tour was over and we had taken a stroll through the Gamla Stan area of Stockholm it was time to find some dinner. Our friend Klaus had told us about a great restaurant. We ate at Magnus Ladulas, a restaurant built in a cave. The inside was very unique and packed full of locals. We ate in the bar area so that all six of us could be together, we had the area all to ourselves for the meal. It was a nice time for us all to come together. The food was as good as the ambiance. Venison, lamb, wild game and more, all was delicious and we were extremely satified with our dishes. Our next day began with rain. We woke several times to the rain as well. We had to do a little changing on our itinerary. We started at the Royal Armory and after viewing numerous sets of armor and hearing the history of the royal family, it was time to head to the Vasa Museum. We got to see the ship that was under the water for 333 years before it was pulled up. You can read all about the Vasa at their website. As we left the museum, the rain continued to poor and after walking half a kilometer, we felt as though we had been underwater for a long time as well. We walked around town and the rain did not let up. After getting soaked we headed to a cafe by the opera house. Our final full day in port we went to Skansen. The weather was very cloudy, but no rain. All the buildings from the 1800’s were transferred to this area. We walked around to view the history of Sweden. There was also a zoo on the grounds. With the weather being so nice, almost all the animals were out to greet us. At 2 p.m., we were finally able to board the boat. Our journey has officialy begun. Our ship was as big as the excitement building up for our trip. Want to visit Russia? It may not be the easiest place to go, but with a little planning the opportunities are limitless. 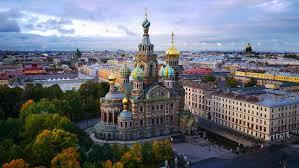 The next stop on the itinerary is St. Petersburg, Russia. Growing up during the Cold War, Russia has always been on my must-visit list. Traveling to Russia can be a challenge. There are hurdles in place that one must overcome in order to enter the country for those coming from the United States, there are two basic options. The first is to obtain a visa. Entry Visas: To enter Russia for any purpose, a U.S. citizen must possess a valid U.S. passport and a bona fide visa issued by a Russian Embassy or Consulate. It is impossible to obtain an entry visa upon arrival, so travelers must apply for their visas well in advance. The second available option is through a tour company if you are on a cruise ship. 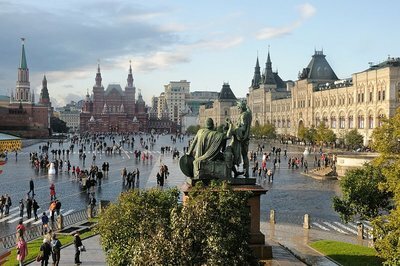 Cruise ship passengers can currently visit Russia on visa-waiver scheme provided the stop in the port of call doesn't exceed 72 hours and tourists stay overnight on board the cruise ship. Cruise passengers may disembark from the ship without a tourist visa if they participate on tours organized by cruise companies. The steps to obtaining a via in Russia can be quite lengthy and require a trip to either San Francisco or Washington D.C. The costs is approximately $300USD give or take a bit depending on whether you are wanting to expedite the process or if you have the patience to let the process run its own course. Our original plan was to get a Russian visa and experience the country on our own; however after weighing the pros and cons of the overall process, we decided to go the route of the organized tour. While the cruise ship always offers shore excursions, the inflated prices and the cattle car experience that is often provided on these tours is not for me. Looking at other options there are 2 major companies that many past visitors have reviewed and numerous smaller companies that offer similar 1, 2, and 3 day tours in St. Petersburg. Looking at the two major companies, SPB tours is one option and Alla Tours is the other. Both offer similar tours with the groups being maxed out at 16 people, still too big for my taste. So we reached out to both requesting a private tour for six people for two days with a one day trip to Moscow with a group of 16 people in between the two private days. Alla Tours was by far and beyond the better of the two companies when it came to response, personalized customer service and overall pricing. Because of the high level of service, we decided to go with Alla. Here is a look at what we will be seeing. 8:30 Meet at the ship. City highlights drive tour with short walks and picture stops. 11:30 - 12:00 Travel to Peterhof via hydrofoil. 12:00 - 13:30 Tour of the Lower Fountain Park and Upper gardens. 6:00 - 6:25 Transfer to the train station. 6:45 - 10:40 Sapsan train to Moscow. 11:00 - 14:30 City introduction tour incl. KGB headquarters. 17:30 - 18:30 Continuation of city introduction tour with picture stops. 19:00 - 19:15 Transfer to the train station. 19:45 - 23:30 Travel back to St Petersburg by train. Choosing to go to Moscow was a no-brainer for us. The opportunity to see the city that plays such a prominent role in history is one that we just couldn’t miss. One drawback is that the Kremlin is closed on Thursday’s, however a trip to the Tretyakov gallery will help make up for not being able to enter the storied Kremlin. The great thing about taking a private tour with Alla in St. Petersburg is that we can adjust our schedule as we desire, If we see something we want to go to or would like some more time at a particular attraction, we have that ability. Have you been to St. Petersburg? Let us know the destinations you loved and any stops we should avoid. We want to hear from you share your comments with us below. A look at the planning process for the first leg of our journey. 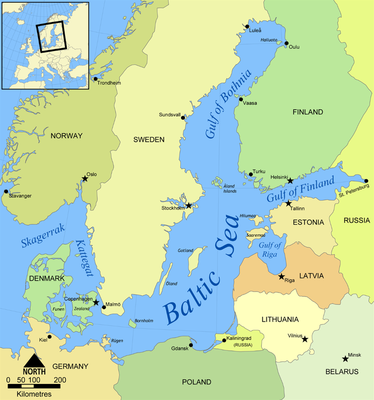 Here is a look at the Baltic Capitals itinerary. 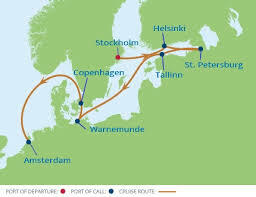 On the Baltic Capitals cruise you can expect a very port intensive cruise. That fits our travel style perfectly. When traveling overseas, Terri and I prefer to take night trains in order to maximize our travel time and have the daytime available to dig into the local culture and sights. While we enjoy going 100% while on vacation, many others do not and that is what helps make a cruise a good option for a multiple couples. Each couple can decide what they want to do while in port, or if they even want to leave the ship on a certain day or not. 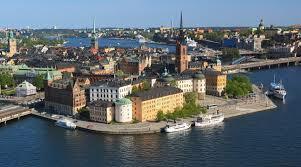 We have decided to travel to Stockholm on the Thursday before our ship is scheduled to board. Once we board the ship, it will be treated as a hotel until Monday when we depart at 1500. One of the tricks that we discovered in our planning was that if you purchase your accommodations in Stockholm during the down season, 6 – 9 months before the date we will be staying, we were able to get half-priced lodging compared to pricing 90 days or less prior to travel. However, for those that may want to avoid the hotels, www.AirBnB.com has a good number of deals available in Stockholm. We chose to stay at the Best Western KOM hotel due to its proximity to the central train station and Gamla Stan. 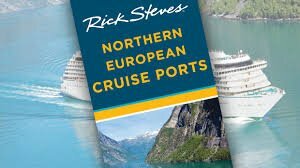 For touring Stockholm, we will be using suggestions from friends and as always Rick Steves and his Northern European Cruise Ports guidebook. In addition to the guidebook, Rick offers an app for both iOS and Android platforms called Rick Steves Audio Europe. With this app you can listen to history and interviews prior to your trip, but the best feature is the ability to download “audio walking tours” for several cities throughout Europe. These are downloaded so they do not use data or cellular service, only a bit of your battery is used to play these. I would also recommend a Y-splitter and two pairs of headphones so that you can share it with your traveling companion. One of the issues with Stockholm is the distance from Arlanda airport to the city center. If you are a solo traveler or couple, two great options are the Arlanda Express (you can pre order discount tickets) or the local bus will take you into town if you don’t mind taking your luggage on a metro bus. If you have four people, a better route to go is to use Uber to get a comfortable ride while meeting a local. Since the Cruise is departing from Frihamnen. The same thing is true when it comes to heading to the ship, Uber is a better value and more convenient than a taxi. Vasa Museum, a Swedish warship built between 1626 and 1628. The ship foundered and sank after sailing about 1,300 m (1,400 yd) into her maiden voyage on 10 August 1628. Skansen the world's first open-air museum, founded in 1891. Here you can stroll through five centuries of Swedish history, from north to south, with a real sense of the past all around in the histori­cal buildings and dwellings, peop­led by characters in period dress. Finland will be a short stop. Considering there is only on day in port, the best bet seems to be a city walking tour. There are some really good resources online, some on CruiseCritic.com that local Helsinki residents have put together and once again, Rick Steves has a great walk in his materials as well. Because we like to get into with the local culture and also love food, we are looking at supplementing the walking tour with a stop at a world renowned restaurant serving Finnish Tapas styled dishes. As you can see, these cities are both very walk-able and public transit friendly. That is one of the great things about this cruise’s itinerary. However, once you get to Russia, things change up a little bit. Due to the visa requirements for Russia, it is much more convenient to take an organized tour. Our next posting will share our thoughts on choosing a tour company and navigating the travel planning for Russia. Do you have any tips or experience in these areas? We’d love to hear your comments, share them with us below. Make it count. What's in an itinerary? When it comes to your time, you only have so much. Time to make the most of it. As people who pack the most into their travels, our travel personality is unique to us. Your ravel personality should be unique to you as well. While some people are looking for a chance to unwind and relax with a cocktail on the beach, others may want to spend hours on end in a museum. For us, we like to get in with the locals, see the sights and get a good taste of what a region’s culture really is. Many cruise ships do not allow for this kind of activity as they have private islands, special resorts or hotels and trains booked for their passengers and require tendering into port as the ship is too large to dock at a pier. Tendering involves being ferried from your cruise ship to the dock on a smaller boat further reducing your time in port. For this trip there will be two other couples traveling with us including our parents who will be celebrating their 50th wedding anniversary on the trip. With many variables coming into play, the decision was narrowed down to a European cruise. Would we want a river cruise or a sea cruise? River cruises typically allow for less time in port and that is not something that any of us wanted. So, we were able to narrow it down to either a Mediterranean cruise or a Baltic cruise. There are several other options available, but based on where we had already been, these two options seemed closest to what we were wanting. Our final decision was to go with the Baltic Capitals cruise with Celebrity because it involved a port intensive itinerary that allowed for multiple days in some of the top cities on the cruise. With overnight stays in Stockholm, St. Petersburg and Copenhagen, amount of time in with the locals is maximized, while the travel is taken care of at night while enjoying the comfort of a 4-star hotel. Further, each of these ports is large enough that tendering is not required and only in Russia are we required to take a tour. We’ll get to that a little bit later in this series. When it came time to book the cruise, there were several possible companies that once we began talking to, each offered to sweeten the pot with more extras to have us purchase the trip through them. One word of advice, never settle for just one quote, much like buying a car, take your time, be informed and shop around for several rates and offers. Once you narrow it down to the top three vendors, let them know and request their best and final offer. Make sure that you are able to add more perks on if they become available later through the cruise line. We chose to go with Costco Travel (www.costcotravel.com Visit Costco Travel Here). Why? They provided all of the best perks from Celebrity, plus added a few extras that surpassed the other offers and rates from the other travel agents. Our package ended up with a Pre-paid gratuities, a classic drink package, and $300 on-board credit all provided by Celebrity. 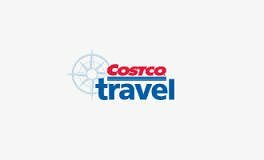 Costco Travel more than doubled the on-board credit plus provided the best price for the cruise. Coming up, we’ll talk about the ports that we’ll be visiting, the ship we'll be on and offer some tips for preparing for a port intensive cruise. By land, air or sea, the personality matters. What to look for on each line and choosing the right one. When an opportunity to travel arises, there is no good reason not to. That is the motto we have adopted and based on that statement, when asked if we wanted to go on a Baltic cruise, it did not take long to make the decision, let's hold off on the trip to Thailand and Vietnam and visit the land of the midnight sun. Although we are not really cruisers, the planning for the journey has been enlightening and we have discovered a number of things about cruising that differ from a normal travel plan. During the next couple of posts we'll introduce you to the itenerary, talk about some of the tips and tricks we have learned from our research and finally include some highlights from the trip while we are travelling. Celebrity Cruises - Sails the world - Asia, Europe, the Americas, and beyond. Attracts couples, with and without their children. Ships carry on average about 2,000 passengers, though its Xpedition ship in the Galapagos Islands accommodates only 92. Hapag-Lloyd Cruise Line - This high-quality, century-old line has four small-to-medium-sized traditional style cruise ships offering refined service and style. (Hapag-Lloyd also operates an airline and an extensive fleet of container ships). Cruise destinations include the Mediterranean, Baltic, Arctic, Antarctica, Caribbean, Atlantic and Pacific. Most passengers are German-speaking. Holland America Line - The onboard atmosphere is more traditional, less contemporary than most other cruise lines. Cultured clientele. Food and service are refined and exemplary. Worldwide destinations. One trip circumnavigates the planet, visiting 38 ports in 26 countries (prices start in the neighborhood of $20,000 per person). Carnival Cruise Line - Ships are large (up to several thousand passengers). They sail to North American and Mediterranean ports. Carnival Cruise Lines is widely popular and has a party-boat reputation. It's the most glitzy Vegas-like cruise line afloat and is fun for the right audience. Appeals mostly to mid-income couples, singles and families. Costa Cruise Line - This Italian line sails the world with a strong Mediterranean-itinerary presence. Costa operates over a dozen big ships. Most passengers are European. The line appeals to mid-income families and young adults. It is part of the Carnival family of cruise lines. Disney Cruise Line - Pleasing kids is the obvious priority, but there are onboard facilities and activities designed for the parents. You can book a seven-day land-and-sea vacation package. Your family spends half the time enjoying Walt Disney World in Orlando, the other half on the Disney Magic or Disney Wonder ship cruising to the Bahamas. MSC Cruise Line - It's an Italian line with over 10 big ships. It focuses on European (especially Mediterranean) destinations, but also sails to ports in the Americas. Passengers are mainly middle income European families and young adults. Norwegian Cruise Line - This large cruise line sails worldwide. One ship, the Pride of America, has a Hawaiian themed cruise with shore excursions to various Hawaiian Islands. Norwegian Cruise Line innovated the "freestyle dining" concept (you have the option of dining in different onboard restaurants). Princess Cruises - Global itineraries. Caribbean and Mexican west coast cruises are popular. Princess Cruises has a dozen cruise ships (mostly quite large) and an imaginary one (the "Love Boat" of TV fame). Its overall quality level is the highest in the "$$ Mid-market" category. Royal Caribbean International - Its large cruise fleet sails worldwide, with a Caribbean emphasis. Some ships carry 3,000 passengers. Royal Caribbean appeals to middle income families (with children and teens) and young couples. Organized activities are many and varied. As you can see, each cruiseline has a distinct personality that will certainly the makeup of the passengers onboard. Ifyou are looking for a party on the seas, you go with Carnival, if you are looking for a kids focused cruise, go with Disney. Wit the type of travelers we are, we were looking for a port intensive cruise that would allow for plenty of time to get in the the locals and not be shipbound or herded around with large groups of other tourists. Based on the personality of the various line, we chose to cruise with Celebrity on their Baltic Capital Cruise. In the next few blogs will continue with more on Celebrity and their itenerary.